What Is a Bachelor of Arts? What is the Difference Between a BA and BS Degree? The Bachelor of Arts Degree, or BA or AB degree, is a 4-year undergraduate college degree program that focuses on the liberal arts, science, or a combination of the two. Coursework may include social, life, or earth sciences, humanities, music, languages, or fine arts. A traditional Bachelor of Arts degree takes about 3-4 years to complete depending on the major, school, and country where the degree is earned. Several U.S. schools now offer accelerated programs that enable students to earn a BA degree in less time than a traditional bachelor’s degree. Earn Your Bachelor of Arts Degree Online. You May Qualify For $6,095 in Grants! The Bachelor of Arts (BA), traditionally focuses on liberal arts and social sciences disciplines like English language, communications, art, humanities, art and theater, and music, whereas the BS Degree focuses on science-related subjects like biology, mathematics, economics, engineering, and information and computer science. In most countries in North and South America (United States, Canada, Mexico, Brazil, etc.) it takes four years to earn a Bachelor of Arts degree. Other countries including South Korea, the Philippines, Thailand, Japan, Ireland, Greece, the Russian Federation, Azerbaijan, Armenia, Lebanon, Egypt, Nigeria, Iran, Serbia, Bangladesh, Pakistan, Kuwait, Iraq, Tunisia, and Turkey also offer Bachelor of Arts degrees which can be completed in about four years. In many regions of the world, however, it only takes three years to attain a Bachelor of Arts degree. In most of Europe including the United Kingdom, a Bachelor of Arts can be earned in just three years. Other regions and countries where Bachelor of Arts degrees are awarded after three years of study include Australia, Singapore, India, New Zealand, Iceland, Norway, South Africa, Switzerland, Israel, Croatia, Hungary, Albania, Bosnia and Herzegovina, Jamaica, and the Caribbean. The Bachelor of Arts (BA), sometimes referred to as Artium Baccalaureus (AB), is one of two undergraduate degrees awarded to students who have completed a four-year post-secondary educational curriculum at a recognized and accredited higher education institution. The other undergraduate degree is the Bachelor of Science (BS). 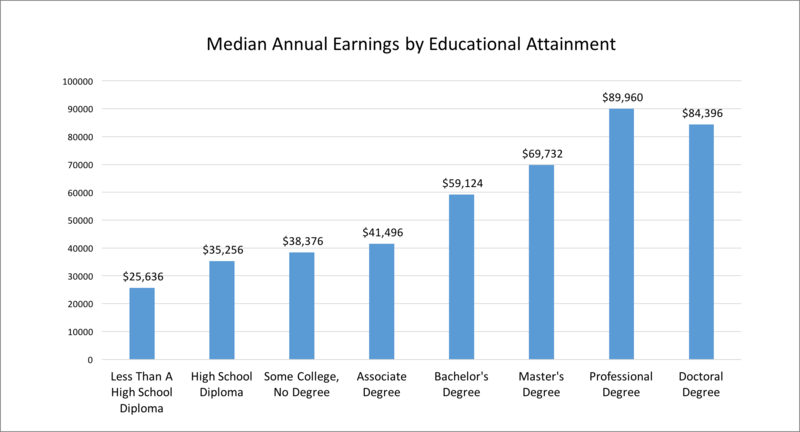 At most U.S. colleges and universities, the requirements for earning a BA or BS are very similar. Both degrees require students to complete 180 quarter hours or 120 semester hours of coursework. The distinguishing characteristic between the two degrees is that the BA or AB degree requires students to complete a certain percentage of their total coursework in the subject areas of history and liberal arts (e.g., literature, language, humanities, social sciences, etc.) where the BS degree requires students to complete a certain percentage of their total coursework in the science, math, and engineering related subjects. For example, at UCLA, 75 of the 124 credits required to graduate must be in a subject area prescribed by the university, while the remaining credits are earned in subject areas specific to a student’s major or minor. Up until the last few years, many major colleges and universities required that students complete a certain portion of their credits on-campus in order to graduate. However, with advent of the World Wide Web and the emergence of new e-learning technologies, many schools have dropped their “residency” requirement and have expanded their offering to include online degrees and distance learning programs that are facilitated by the Internet. The Bachelor of Arts degree and Master of Arts degree were not introduced in the Netherlands, several other areas in Europe, until 2002. Prior to that point, the only degree program offered in the Netherlands was the doctorandus (Drs), the equivalent of the MA or MSc degree in English-speaking countries. Doctorandus curriculum comprised much of the same curriculum included in both the Bachelor of Arts and Master of Arts degrees. Following the introduction and acceptance of the new standard, students who had already started their doctorandus could, upon completion of their program, choose to be awarded either the doctorandus degree (Drs) or the Master’s degree – whichever they preferred. Other European Union countries have introduced a similar practice. In both the United Kingdom (not including Scotland) and Ireland, it takes about three years to complete the first level of postsecondary education following high school, which leads to the equivalent of a Bachelor of Arts degree. However, the nomenclature for such a degree varies from region to region. Historically, many European colleges and universities awarded students either a BA or BSc depending on whether the subject matter studies focused on the arts or the sciences. It was, however, the custom of other universities, such as Cambridge, Oxford, and Dublin, to award BAs to students regardless of the undergraduate subject matter studied. Several other schools, such as York and Lancaster, adopted the same practice of awarding only BAs in the late 1960s but have since begun awarding BSc degrees to students who have completed a science curriculum. In Scotland, post-secondary students who graduate in the humanities or arts are awarded a Master of Arts degree, but science graduates are awarded a BSc A traditional Bachelor of Arts level degree takes three years to complete in Scotland, unless you opt for an honors degree, which requires an additional year of study. Bachelor of Arts degrees are designated and awarded at two levels: BA for an ordinary/pass degree or BA (Hons.) for an honors degree. Honors degrees are always awarded at one of four levels: first-class degree, awarded to top-performing students, an upper second-class degree (a 2:1 degree), a lower second-class degree (a 2:2 degree), and a third-class degree, awarded to those with the lowest academic performance. Post-secondary, university-level education leading to the attainment of academic degrees is offered at the Hochschule, the generic term for a higher education institution in Germany. There are two types of Hochschule: Fachhochschule, or University of Applied Science (UAS), which offers specialized professional degrees in specific disciplines, and Universität, a general university that focuses on teaching the fundamentals of science and theory. A degree earned at either institution are equal and the same in the eyes of German law and society. It typically takes between three and three and half years (6 semesters) to complete a BA, or the equivalent, in Germany. Students must also earn between 180 and 210 ECTS credits. ECTS, which stands for European Credit Transfer and Accumulation System, is a higher education standard used for comparing higher education performance across Europe. Similar to the practice in few European countries, many higher education institutions in Canada offer students the option of completing a 3-year or 4-year Bachelor of Arts (BA) degree. A traditional BA can be earned in just 3 years and is offered at most universities, while a Bachelor of Arts With Honors (BA hons.) requires a minimum of four years of study (often more) and is typically available only at large research colleges and universities. It’s important to note that until recently, a 4-year degree in Canada was called an honors degree, not to be confused with the Bachelor of Arts With Honors degree. The Bachelor of Arts With Honors is only awarded to students who’ve completed a high-research-activity thesis (during their Master’s level studies) and have demonstrated superior academic performance. One of the advantages of earning a Bachelor of Arts With Honors degree over a traditional BA is that it qualifies the student to enter a Doctor of Philosophy (PhD) program without having to first earn a master’s degree. College students in Australia, South Africa or New Zealand can look forward to earning their Bachelor of Arts (BA) degree in just three years. Students are required to select a major subject area and are then expected to study that subject for the entire three-year period, or until they’ve completed their curriculum. However, some schools allow students to pursue both a major and a minor, in which case a minor is pursued during the first two years of study and then the remainder of the program is dedicated to major courses. Unlike other countries that offer varying levels of honors based on overall GPA, students in Australia, New Zealand, and South Africa that desire to attain a Bachelor with Honors degree (BA Hons.) may opt to take another year of honors courses, provided they maintained a minimum GPA while completing their major. In addition to an extra year of school, students desiring the BA Hons. designation must also complete an honor’s thesis. The BA degree is the standard prerequisite for a master’s degree program. For those interested in pursuing a PhD in a science related field the prerequisite is usually either a master’s or BA hons. degree. However, don’t confuse the honors designation awarded to students in the United Kingdom with the BA hons. designation awarded to students in Canada, Australia, South Africa and New Zealand–they’re not the same. In all four countries, a 3 or 4-year BA degree is the prerequisite for entry into most graduate schools programs in business and law, as well as several other professional disciplines. The physical diploma provided to students who have earned a BA or AB degree will typically include the name of the awarding institution, the signatures of the administrators at the institution (e.g., president, dean, rector, etc. ), the type of BA or AB degree conferred, the location where the degree was earned as well as the conferring authority. a BA or AB degree is usually printed on parchment (a thin material made from animal hide) or a high-quality paper.